Please visit his brand new blog with News about the Art Wold - Art Market News and Trends and New Collection by Rafael Salazar. This is a preview of my new Collection of 2016 paintings that range from Abstracts, Geometrics, Portraits, 3D Sculpture, Into the Future to Abstract Flowers Series with a wild Twist. As I like to Push the Envelope in my Art I would like to introduce these new Collections which I hope you will enjoy as much as I creating them. Academics Say the Art Market Bubble Is About to Burst, Are They Right? 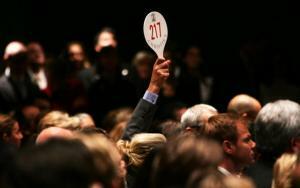 Is the art market bubble about to burst? Roman Kr�ussl, Thorsten Lehnert, and Nicolas Martelin from the Luxembourg School of Finance applied a new statistical method of detecting bubbles to over one million auction records from 1970 to 2014, focusing their research on the Impressionist and modern, post-war and contemporary, American, and Old Masters sectors of the market. Thanks to multi-billion-dollar November art auctions in New York and the ever-growing behemoth that is Art Basel in Miami Beach each December (with an estimated $3 billion worth of art on view), the tail end of the calendar year has become one of the busiest for the global art trade. This frenzy of buying and selling between dealers, auction houses, and collectors, translates into an equally dizzying routine with regard to art shipping�be it from auction houses to private homes, to freeports in Switzerland and Singapore, from residential collections loaning works to prestigious museum shows, and from art fair booths to the homes of eager buyers abroad. Is It Important to Know What Kind of Art Sells Best? The Question Vexes Many Artists. 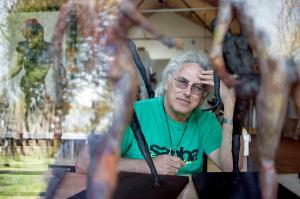 In some ways, it�s impossible to give an accurate answer to what kind of art sells best. It�s too broad. 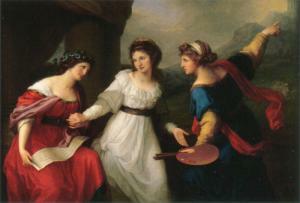 Are we talking original paintings, sculpture, mixed media, digital art or reproductions? 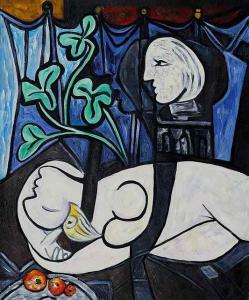 Picasso�s painting above holds the record for the most expensive painting sold at $106 million. That�s one way of looking at what kind of art sells best. No doubt it offers little insight into helping you decide on the type of art you make. Many of you know I worked nearly two decades for Decor magazine during its heyday as the most successful publication serving retail art galleries and picture frame shops. Over the years, Decor magazine frequently surveyed its readers to ask what sold best in their shops. Not surprisingly, landscapes and florals perennially topped the list. They go in any decor and are as non-controversial as you can get. 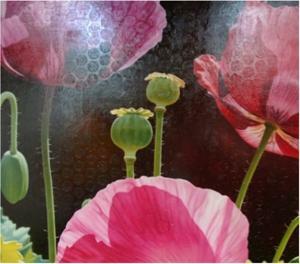 Somehow, florals didn�t make the cut on this HubPages article, Top Ten subjects for art that sells. Otherwise, I agree with the suggestions it offers. The question for you is, �What do you do with this information?� I can see how knowing this and researching the resources below can help you. However, I think they should only slightly modify and not completely affect your creative process. Gifts of Art for the Entire Family including your beloved Pets. 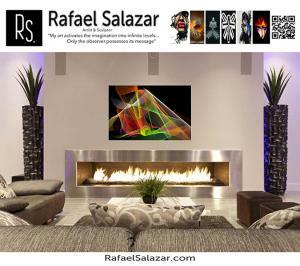 Check out our Gallery of Abstract � Conceptual � Geometric � Nature � Portraits � Photography � Pop Art & More. Special Promotions and or Free Shipping � Shop Early Enjoy the Savings! Fom 1971 Why have there been no great women artists? While the recent upsurge of feminist activity in this country has indeed been a liberating one, its force has been chiefly emotional�personal, psychological and subjective�centered, like the other radical movements to which it is related, on the present and its immediate needs, rather than on historical analysis of the basic intellectual issues which the feminist attack on the status quo automatically raises.1 Like any revolution, however, the feminist one ultimately must come to grips with the intellectual and ideological basis of the various intellectual or scholarly disciplines�history, philosophy, sociology, psychology, etc.�in the same way that it questions the ideologies of present social institutions. If, as John Stuart Mill suggested, we tend to accept whatever is as natural, this is just as true in the realm of academic investigation as it is in our social arrangements. In the former, too, �natural� assumptions must be questioned and the mythic basis of much so-called �fact� brought to light. And it is here that the very position of woman as an acknowledged outsider, the maverick �she� instead of the presumably neutral �one��in reality the white-male-position-accepted-as-natural, or the hidden �he� as the subject of all scholarly predicates�is a decided advantage, rather than merely a hindrance of a subjective distortion. Brushes with forgery like that one two decades ago, and concerns about his legacy and estate, prompted Mr. Fischl to appear in London on Monday to vouch for a new authentication system that would let artists sign their works with specks of synthetic DNA. The method is being developed at the Global Center for Innovation at the State University of New York at Albany. The school said it had received $2 million in funding from the ARIS Title Insurance Corporation, which specializes in art. In a world where machines can do many things as well as humans, one would like to hope there remain enclaves of human endeavour to which they simply cannot aspire. Art, literature, poetry, music - surely a mere computer without world experience, moods, memories and downright human fallibility cannot create these. Meet Aaron, a computer program that has been painting since the 1970s - big dramatic, colourful pieces that would not look out of place in a gallery.